Every business has some product or service to sell but majority of them do not have a proper marketing strategy in place to be able to sell the product effectively. Even lesser is the number of the business people who are looking at digital space as an effective medium to get found and target their audience. There is such a huge opportunity waiting to be exploited. The growing number of online shoppers and people who are actively looking for products and services online only adds to the proof of this opportunity that could be tapped with appropriate digital marketing tactics. 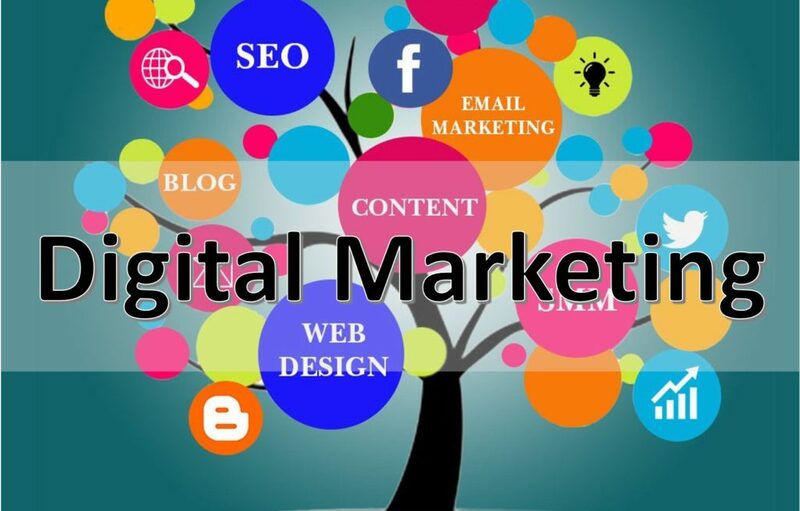 Seeking to explore the potential of the digital media, businesses are taking a plunge with their kind of budget into the world of digital marketing. The rise in the new employment opportunities along with new job titles specific to the digital world thus comes as no surprise. Various agencies, like telecom giant O2, Times of India and Moz in collaboration with Fractl have come up with their researched facts underlining this trend. Excessive dependency of people on their smartphones as well as other hand held smart devices has drastically boosted the potential of digital media. The habit to use these gadgets for just about everything (from interacting on social media to using different mobile apps for different tasks like shopping, news reading, gaming and content sharing) has much to do with the upward trend. Smart Insights has reported that 80% of internet users own smart phones, spending 90% of their time on mobile in apps. Even giants like Google and Facebook are trying to get the most of this by introducing mobile friendly features for both advertisers and users. They are trying to make integrating mobile ads to the online marketing strategy convenient as well effective so that more and more businesses embrace the idea of targeting their audience online and selling to them. When Happily Unmarried introduced itself in the market back in 2003, it wasn’t sure as to what and where it should target; with no business plan and no path to move ahead the company was at loss. Later the foundersRajatTuli and Rahul Anand did come up with an idea facilitate by a strategy, which was to introduce fun stuff and male grooming products under the brand name USTRAA. Also, they employed digital channels for communicating and interacting with their target audience which eventually contributed to marketing and selling activities. They have witnessed a great boost in revenue with mobile targeting for which they have a mobile website developed specifically. And they are looking forward to 70% hike in the growth through online sales which currently forms the 20% of the total revenue. Happily Unmarried is a favourite with Facebook users (with 5 lakh fans), thanks to the buzz created by the effective use of Facebook Ads.The unique branding of USTRAA has certainly very much to do with it, but well-thought and well-placed relevant content has much to do with it. They never took to the aggressive selling route and it is working pretty well for them.